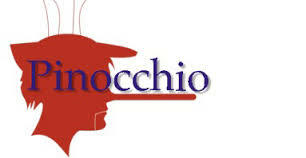 Pinocchio is coming to Provision Theater for Young Audiences! What do you want to be when you grow up? More than anything else, puppet Pinocchio wants to become a real boy! The Blue Fairy can help make his dream com true, but first Pinocchio has to learn how to be a good boy and tell the truth. Will he listen to his friend, Cricket, or will he be misguided by the worldly ways of the naughty kids at Pleasure Island? Come help Pinocchio find his way to becoming more that a wooden toy! The theater is at the corner of Roosevelt and Morgan (1001 W. Roosevelt Rd). There is free parking in the lot by entering on Morgan. PLAN ON BRINGING YOUR KIDS OR YOUR GRAND KIDS OR BORROW SOME AND COME!